The Dragon Boat Festival is a traditional holiday in China. With the heat of summer, more and more people are choosing to spend time outside. This great weather is the perfect time of the year to go rowing with family or friends! But have you ever seen boats that look like real dragons racing each other? In China, every year on this day, people enjoy the fun of the Dragon Boat races as they are held countrywide. As a significant cultural tradition which is also a lot of fun, it is not only held in China but also in different places all around the world, including London, Boston, Denver, Colorado and many others. If you happen to live in one of these cities or close by, you might have already taken part in this event. Or, you might have heard it’s happening but don’t know much about it. What is the Dragon Boat Festival and why is it so important? That’s today’s topic! 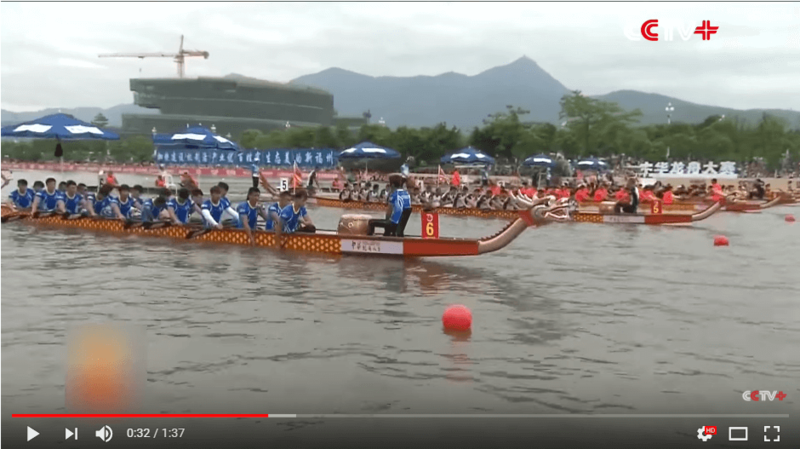 Once you have read through this article you will definitely want to attend a Dragon Boat event or as it’s known in China The Duan’wu Festival! Like many other traditional Chinese festivals, this festival is marked as a special occasion on the lunar calendar. It falls on the fifth day of the fifth month, which for 2018 is today. I don’t really like to start with this as it can be longwinded and you might say “boring” but… let’s face it, the history is pretty important. It seems that everything in China has a long history. This is the same with the Dragon Boat Festival. It originated about 2500 years ago, in memory of the great patriot and poet, Qu Yuan, who died for his country. Ok, that’s it that’s all I’m going to tell you! Instead, I’m going to jump to the fun part of the festival and come back to the story of Qu Yuan later. So you will first know what do people do to celebrate the day and then figure out why do they do this. 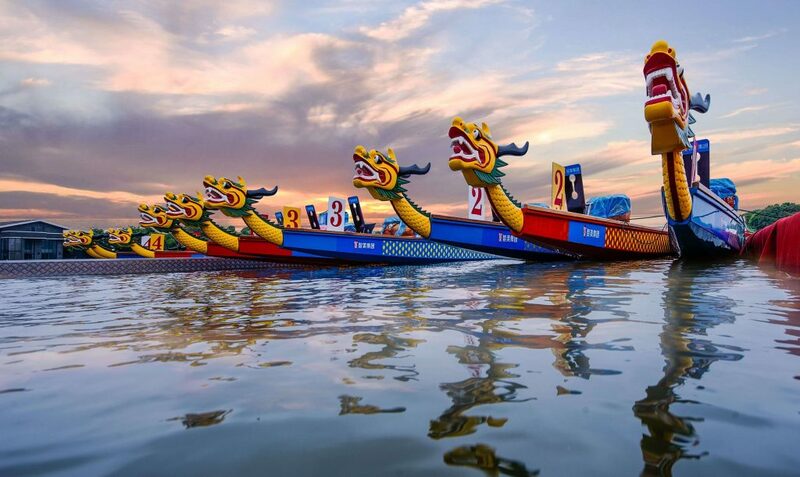 As you can probably tell from its name, the dragon boats that are used in the celebration of this festival look just like a real dragon: The head of the boat is decorated into a dragon head, with the body of the boat being long enough to seat about 20-30 people in two rows. At the head of the boat, there is a conductor sitting in front of the rowers, beating drums and shouting out the rhythm. There will usually be several different boats racing at the same time. When the race begins, rowers begin to row at the pace that the conductor sets. Whichever boat first reaches the final line will win the race. As this is a team game, all the team members must work together to propel their boar towards the finishing line fast. The race can be quite competitive and makes it quite exciting to the audiences as sometimes some boats can reach the destination at the same time! It’s ok to miss the boat race. But you don’t want to miss the tasty food you can enjoy during the festival! So what do people eat while watching the Dragon Boat race? Zongzi is the most popular festival food to go with. Zongzi is made of sticky rice and different kinds of fillings wrapped with bamboo leaves. When boiling in the water, the aroma of the bamboo leaves will mix with the sticky rice and the fillings inside. The best part of Zongzi is that it can have different flavors. Generally speaking, people in the north like to have sweet fillings like dates, red beans, etc in their Zongzi while the southerners prefer salted meat or egg yolk inside their Zongzi. This is a classical cultural difference between the South and the North. The internet in China is polarised with people defending their tastes on this traditional food. Personally, I’m a sucker for sweet red date Zongzi! 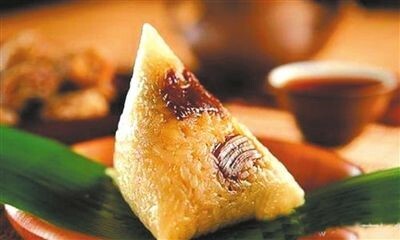 Unlike another famous Chinese food, the Mooncake, which is popular, Zongzi has a more consistent reputation among people in China. Maybe this is because it fits more with people’s taste: The sweet ones are more like a dessert to people and the salty Zongzi is more like a staple food. Also, since it doesn’t contains much oil or fat, it is a quite healthy snack choice! 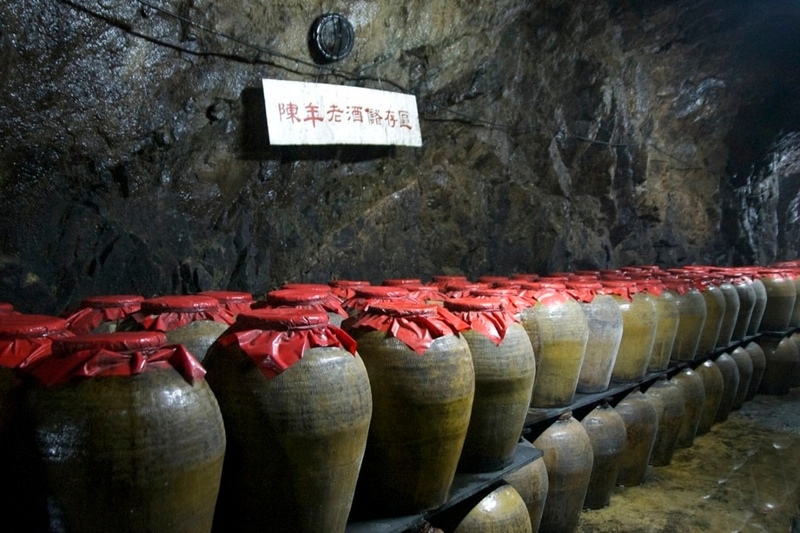 Traditionally, people also drink realgar wine for this festival, which is made from yellow rice wine dosed with realgar powder, a yellow-orange arsenic sulfide mineral. It is believed that by drinking realgar wine, diseases and misfortune will be kept away. Despite the superstition part of this, it makes sense for people to do this during this time of the year as it can keep mosquitos and other insects away. This is what people mainly do for Duanwu Festival. Except for the realgar wine, this is actually a festival geared for children. They love to watch the boat races alongside the river or lake and have tasty Zongzi! 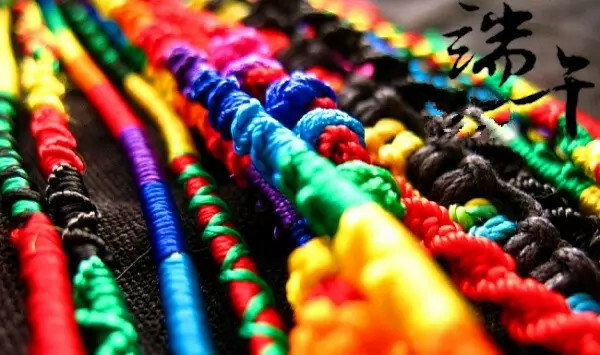 In some regions, parents will also put a silk braid with 5 different colors on their kids wrist in the hope that this can help their children to have a smooth year. Finally, let’s go over the story of the origin of the festival. You will find where the above custom came from. This is all about a legendary figure in ancient China, Qu Yuan, who was born in 240 BC and passed away in 278 BC. This was during the so-called Warring States period in China’s history, back when there were a couple of states fighting each other to establish a unified country and for fighting for survival from being destroyed. Qu is from the Chu state in Southern China. He came from a high-end family and became the minister of the country. He was a talented officer as well as a great poet. But the king of Chu exiled Qu as the latter opposed the king to ally with Qin, a very highly powerful state among all. He was on exile for about 28 years during which Qu wrote many great poems that later became classics in Chinese literature history. 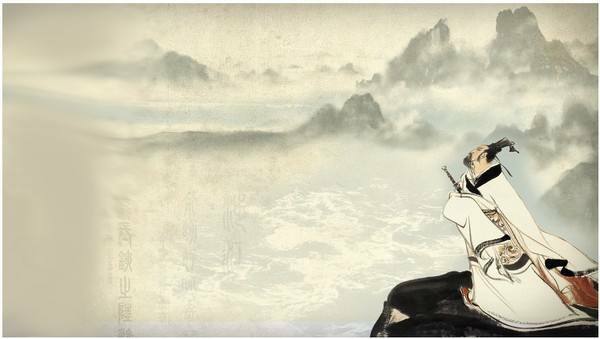 After Chu was finally defeated by his former ally, Qin, Qu despaired and drowned himself in the Miluo River. He was loved by the people of Chu. They all took their dragon-shaped boats to save him but failed. To keep his body from being eaten by fishes in the river, people threw Zongzi into the water to feed the fish. After Qu’s death, people commemorated his loyalty and integrity on the fifth day of May, which gradually became a nationwide festival in China. Chinese mid-autumn festival is not only about the moon cake. Learn fun cultural facts about it. Nowadays, the Duan’wu festival is a national holiday in China and has become a family holiday where everyone has three days off. Besides watching the dragon boat race and having tasty Zongzi, outdoor activities like hiking or going to the park are also popular choices. Why not go to the Chinese supermarket with your kids and get some sweet Zongzi for everyone? !